I stand corrected - the direct display only seems to limit the max availability by 4 seats per class, it does not impact the display accuracy though. direct display - Y4 B4 H3 K1 M0, ie the accuracy is preserved, just the presentation is less informative. No problem. That being said since it doesn't look like direct connect is required anymore to get accurate inventories for AY we have turned it off. What are the fare codes for Qatar awards in business or first on EF? Qatar isn't listed on the Awards & Upgrade search because they do not share their award data. New to EF Premium. Is there a simple way to copy/duplicate a flight alert? I was able to create flight alerts given date/airline/flight#/Class code, etc, however could only apply a single Class Code. Trying to avoid having to manually enter all the details lots of times to create alerts for all lower cost fare classes. Read through help guides and searched forums, but didn't find anything on how to do this. No, but reentering data isn't necessary either. You can create an alert from the Flight Availability or Award search results pages. There you only have to enter a name, class, and quantity. At this time Flight Alerts are for specific segments only, not for married segments. Wondering why I was not alerted when my 9/2 flight had an aircraft change and we were given different seats. 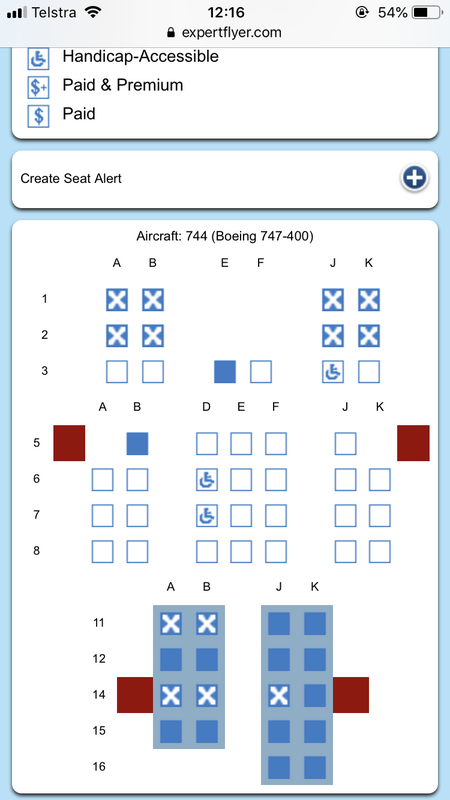 I had set an aircraft change alert and also an alert if we were removed from our seats (seats shown as available). Neither alert was received. We'd love to help you, but since you didn't email us we can't look up your account or the specific flight information you're referring to. It depends on how the airline publishes the flight changes, the aircraft type in the seat map or the seat map it self has to change, but it sounds like it didn't. Again we can't tell you for sure since you didn't tell us who you are or the flight information. Please email us directly for help. Can you add a feature that allows viewing any/most airline ticket's information and details by entering the ticket number ? If you go to Saudia.com "manage my booking" section, you will be able to detailed information by entering a ticket number and last name of passenger. And it works for tickets issued and flights operated by many airlines. But I'm worried that the Saudia.com door will be shut down any time. Unfortunately not as ticket/reservation information is only viewable to the airline and the booking agency. Travel agents and non-airlines certainly cannot. A Thank you to the Expert Flyer team - I had booked an Aetoplan redemption in Y ( X) class since no J space was available. I set an EF alert for I class, and received the email alert this evening that I space was available on this flight. A quick phone call and $100 later I had the J class seat. Thank you, and that alone is worth the annual fee for me. 747FC and Calchas like this.